Our friend Dave Chapman has been keeping us abreast of the movement to Keep the Soil in Organic. As more consumers are becoming interested in locally sourced produce it is integral for us to continue to advocate for organic standards to require soil in certification. Dave recently returned from the Spring National Organic Standards Board meeting in Denver and below he outlines his thoughts on the history and future struggle to maintain the soil in organic. Michael Sligh in the article “Toward Organic Integrity” in 1997. I start this letter with Michael Sligh, a widely respected voice in the organic community. He was the first chairperson of the NOSB many years ago, and he continues to this day to work for strong organic standards and social justice for all in the farming world. Eliot Coleman recently sent me these prophetic words Michael wrote twenty years ago. They were not written about any specific issue, but rather about whether the USDA would prove worthy of being our partner in the organic movement. That question looms large these days as we debate CAFO animals, dubious grain imports, and hydroponic fruits and vegetables all under the aegis of the National Organic Program. I returned last week from the Spring National Organic Standards Board (NOSB) meeting in Denver. Many spoke up there to defend the healthy soil movement, including farmers Tom and Anais Beddard, Gerry Davis, Linley Dixon, and Jim Gerritsen. Also, the many voices from the rest of the organic community included Jay Feldman, Sam Welsch, Abby Youngblood, Nicole Dehne, Max Goldberg, Alan Lewis, Mark Kastel, and Maddie Monty. As I flew home, I was encouraged by the events of the meeting. Just to be clear, there was no expectation of a vote at this meeting on a new hydroponics proposal. Rather there was a proposal offered for discussion. It is the hope of the Crops Subcommittee that they will have a final proposal on hydroponics and soil ready for a vote by the fall meeting in Jacksonville. There will be considerable pressure from the hydro lobby to delay that vote, because public opinion is against them, and a vote could well lead to yet another recommendation to ban hydro. It should be understood that a call to further delay another NOSB recommendation is really a call to permit hydroponics. It is also a call to continue ignoring the previous 2010 recommendation, the Federal law (the Organic Food Production Act), and world standards. It looks bad to say outright that hydroponics are permitted. After all, who really wants to come out in public and say that soil is not necessary to organic growing? It is a much safer strategy to say, “Further study is required for this complicated issue”. When I first began discussing this flaw in the standards with the Organic Trade Association a year and a half ago, they told me they supported a quick resolution to exclude hydroponics. That was before they realized that one of their biggest clients, Driscoll’s, was also the biggest hydro “organic” producer in the world. Driscoll’s involvement in hydroponics was such a secret that even their biggest lobbyist didn’t know about it. Once they learned about Driscoll’s involvement, OTA quickly became the leaders of the “Delay Forever” movement. But this issue has already been debated on and off in the National Organic Program for the last 9 years. There has also been a fifteen person USDA task force that studied the issue for half a year. The question is actually straightforward: Is organic agriculture fundamentally based on healthy soil? In the EU, the simple answer has been yes. Even before the meeting, many people submitted written testimony in support of soil to the NOSB, including Dru Rivers, Amigo Bob Cantisano, Eliot Coleman, Lisa Bunin, Roger Savory, Davey Miskell, Skip Paul, Theresa Lam (former USDA Task Force), Leo Verbeek, Peter Bane, Jack Kittredge, Colehour Bondera (former NOSB), Thea Carlson, Gabe Cox, Frank Morton, Dan Pullman, Tim O’Dell, Judith Schwartz, Tom Willey, Alan Schofield, John Bierenbaum (Former USDA Task Force), Jake Guest, Nick Maravell (former NOSB), Rob van Paassen, Joan Gussow (former NOSB), Michigan Organic Food and Farm Alliance, Montana Organic Association, NOFA VT, NOFA NY, Center For Food Safety, Beyond Pesticides, Organic Advocacy, PCC Natural Foods, IFOAM EU, NOFA Interstate Council, Cornucopia, and National Organic Coalition. There were many, many more, far too many to mention, with over 650 people and organizations sending in testimony in opposition to hydro in organic. My thanks to all of you who took the time to write a letter to the USDA. It makes a difference. And the movement is actually much bigger than that. 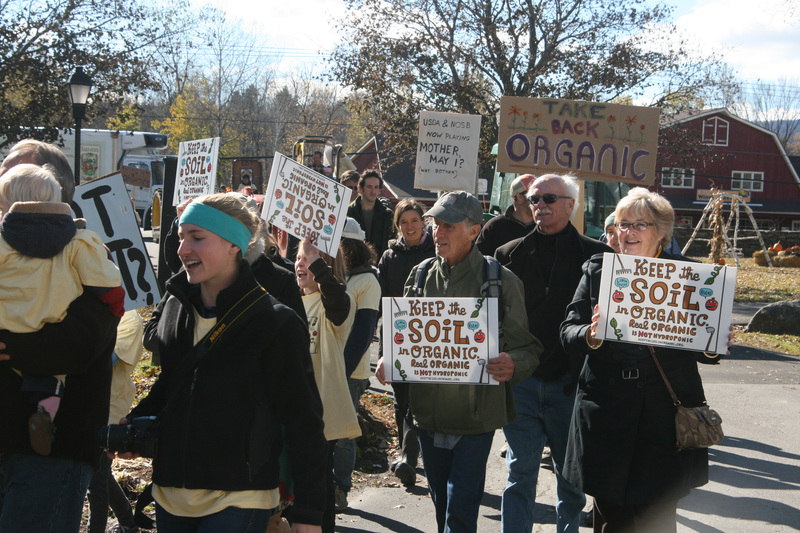 Over 56,000 people have viewed a video of the Farmers Rally in the Valley protesting the dissolution of organic standards last fall in Vermont. Public opposition to the inclusion of hydro in organic certification is rapidly building. Some people are only now finding out that hydroponic is being allowed on a massive scale in organic certification. Most customers (and many farmers!) still have no idea. At the Denver meeting, there were many people and organizations testifying to keep healthy soil as the basis for organic certification. News stories and farmer/community awareness continue to slowly spread. There is a storm building, and the outcome is likely to be a train wreck causing terrible damage to the USDA organic label. It seems unlikely that the USDA will throw out hundreds of millions of dollars in sales of pseudo-organic, and it is impossible that the growing opposition will just go away. This is a battle for the soul of organic. The outcome seems to be a divorce or a civil war. The organic movement has always been about integrity. It has always been about seeking wisdom over just being smart. There are a lot of smart people who don’t believe in organic. Organic is an exploration of something important to our health and to our survival. Our progress has been a long history of (often painful) experiments. As Samuel Becket said, “Try again. Fail again. Fail Better.” But above all, we must make sure that we continue a serious discussion about WHY soil is important. If there is one great opportunity in this disturbing debate, it is to seriously reconsider and examine that critical question. The growing vocal support and excitement for real organic at the meeting was tremendously heartening. But I also found myself very sad as I flew home. I always knew we would face a battle with the large hydro industry and their many hired “supporters.” Who says you can’t buy love? The biggest hydro lobbyist is OTA, but there were many others supporting their efforts as well, from the Coalition for Sustainable (meaning “Hydroponic”) Organic to MiracleGro, from Driscoll’s to Wholesum Harvest. MiracleGro testifying on what organic means? Greenhouse companies that have never sold a single organic vegetable testifying in a debate on the meaning of organic? You couldn’t make this stuff up. But what I found particularly depressing at the meeting was the testimony of the two representatives from CCOF (California Certified Organic Farmers). CCOF is one of the oldest organic farming organizations in the US. When I started farming so many years ago, they were always seen as one of the good guys. In Vermont, we held them in high esteem. As I understand it, CCOF has developed into two organizations since then; one is farmers and one is certifiers. As recently as a year ago, CCOF took an official position of neutrality on this issue, since their farmer members were divided. But that was before the news about Driscoll’s hit the street. 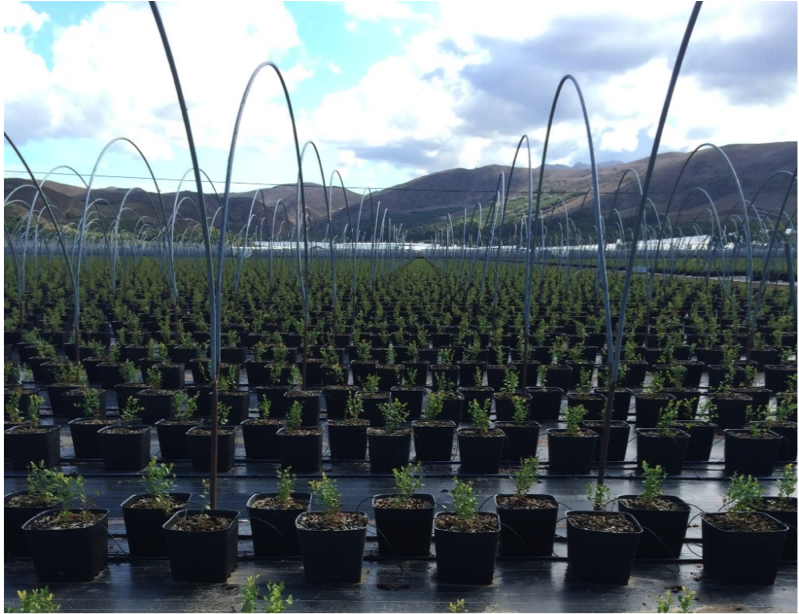 Driscoll’s is one of the biggest clients of CCOF for certification, and they are also one of the largest contributors. Somehow in the last 8 months CCOF has abandoned neutrality, and come outstrongly in support of certifying hydro. Their verbal testimony seemed to support no limitations on hydro beyond requiring that producers use “allowed” fertilizers and pesticides. 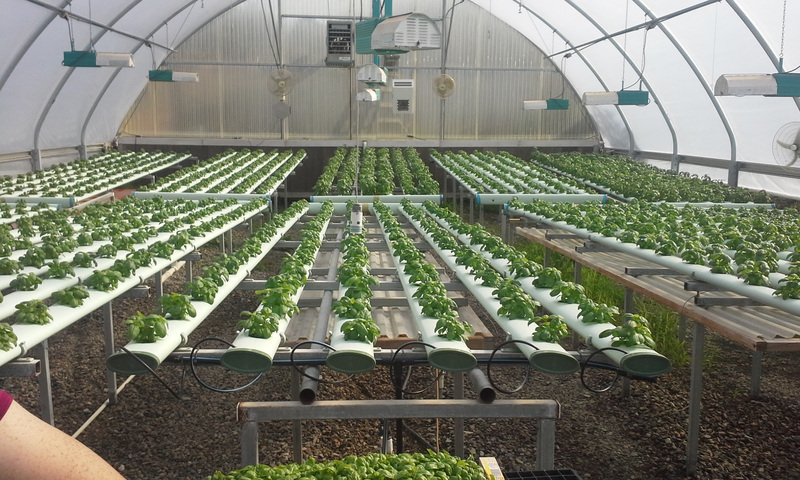 It would seem that CCOF is calling for the certification of even pure water based hydroponics, as practiced by some of their farmer clients and even one of their own board members. Their biggest justification for allowing hydroponics was that over a hundred of their certified farms are hydroponic! This position is clearly opposing the 2010 recommendation and is even opposing the unanimous non-binding resolution to prohibit hydroponics passed by the NOSB last fall. CCOF has gone a long way past neutrality! So how could this happen? 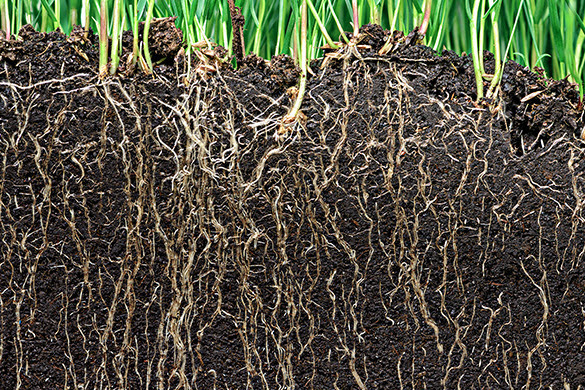 How could CCOF abandon soil health as the basis of organic agriculture? At the same time that millions of dollars are being spent on a Soil Health movement by the USDA, as many farmers and citizens around the world struggle to create a Regenerative Agriculture movement, and even as General Mills is promising to spend millions to promote soil health, how can one of the oldest organic farming organizations in the country decide to abandon soil health as their central foundation? I have no good answer for this. I guess we are seeing a growing split between the organic farming movement on one side, and the new “branding” of organic by the USDA and large companies on the other. As people are seeking food with real health benefits and organic has succeeded in the marketplace, the standards and their enforcement have become twisted by economic forces. Now we have CAFO “organic” animals on a large scale being fed questionable “organic” grain from Eastern Europe. Why is this familiar? We have been here before. It reminds me of the early battles with the USDA as we created a real alternative to “conventional” agriculture. The organic movement has always been about the struggle between sanity and commerce. I talked last year with one young board member of CCOF, and after a long conversation, he said he envied the idealism of the organic farmers of the Northeast. He said that in California, organic is now more of a business than a movement. Perhaps his observation helps to make sense of Whole Foods CEO John Mackey’s comment that, “Organic is getting stale.” USDA organic IS getting stale. But if we are talking about real organic instead of corporate organic, nothing could be further from the truth. There is an ongoing revolution of learning and innovation in real organic. Everything that we have learned about soil science and human nutrition in the last 70 years supports the beliefs of the organic pioneers of the mid-twentieth century. Amazingly, science says that Howard, Balfour, Rodale, and Steiner got it right. What is exciting is that every day we are learning more about how to steward the soil community. There is an exciting new energy coming into our movement as efforts to keep our climate livable build. It has been said that our efforts are destroying the National Organic Program.This is not true. The USDA needs no help from anyone in destroying the organic label. They are doing a fine job of that all by themselves. Our effort is tosave the NOP from itself. We need to keep the NOP connected to the real organic movement that it claims to serve. The organic movement will continue with or without USDA involvement. We will keep trying. The choice is theirs. If you agree with this letter, please share it! The only way we can win this is with many people learning what is happening. Check out the facebook group for more updates.